Let's face it: sometimes your child runs around like an uncivilized savage, right? It's as if the kid doesn't just instinctually know not to throw food, or how to use a toilet. So you're stuck changing diapers and picking up spaghetti from across the room every single day. Meanwhile, your kid is tearing through the house in every direction (seemingly at the same time!) picking up every possible object for use as a weapon (maybe not intentionally a weapon, but they'll find a way regardless). And then it dawns on you: a child isn't suddenly modern man with his civilized outlook on the world. Children didn't invent the airplane! They didn't defeat the Nazis or send a man to the moon. No, adults did all those things, and developed agriculture and urbanized culture, and penicillin! Through all our years of development as a human society, kids don't get any of those benefits. Nope, they come into this world as cavemen: prehistoric neanderthals who can barely grasp stone tools or even hunting and gathering. Which is fine, because your kid is going to catch up to you in a matter of years. In a decade, your kid will probably be even more technologically advanced than you've ever been. That's just the way of things for thousands of years. 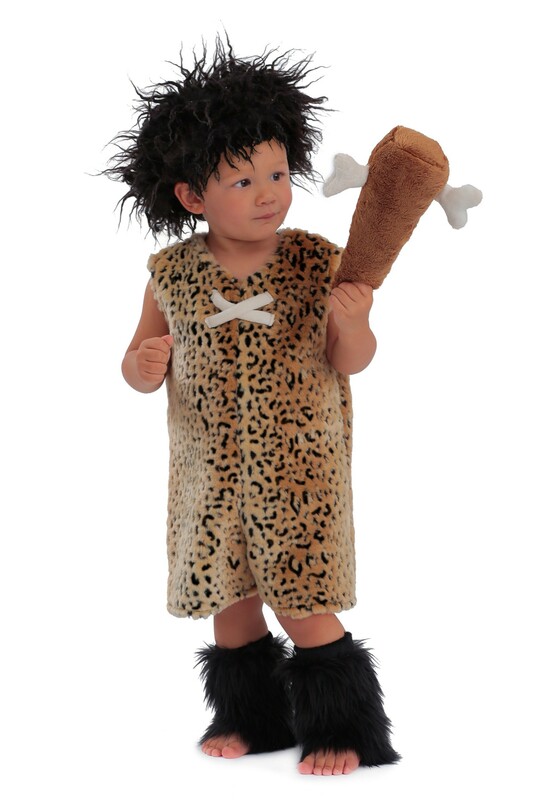 But for now, your kid is a caveman. 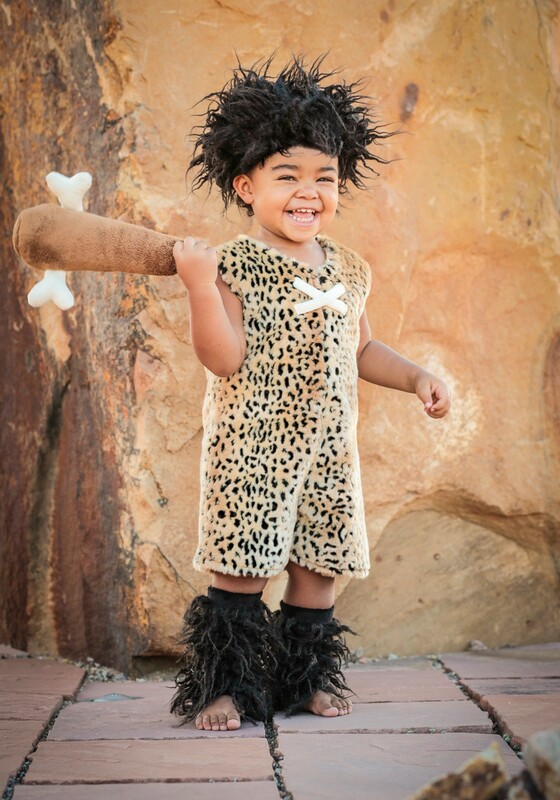 So dress him up like one and let him revel in his basest instincts of wearing animal furs (faux furs, obviously), having unruly hair, and hitting things with clubs. Soon enough he'll be too old for this kind of play, so let him live a little until he's ready to join the modern age.